Last month, I was lucky to attend the Friends of Medecins Sans Frontieres (FoMSF) UK National Conference at Imperial College, London. 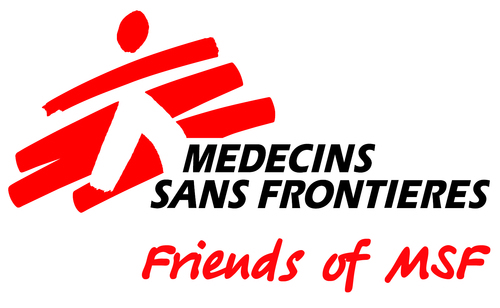 You might know MSF by its English translation: Doctors Without Borders. After a warm welcome from Vickie Hawkins, Executive Director of MSF UK, FoMSF student societies from all around England, Scotland and Northern Ireland presented their successes from the year. Groups held fundraisers, movie nights, guest MSF speakers and even a Map-a-Thon (more on this last one later). Throughout the day, we attended a number of workshops on recent and future MSF initiatives. Each presentation gave us inside knowledge into how MSF operates and how they improve peoples lives. I will now share three of them. The Ebola outbreak in West Africa filled much of the news last year. Throughout the response, MSF doctors, nurses, expatriate and local staff were at the forefront, treating the virus and preventing its spread. 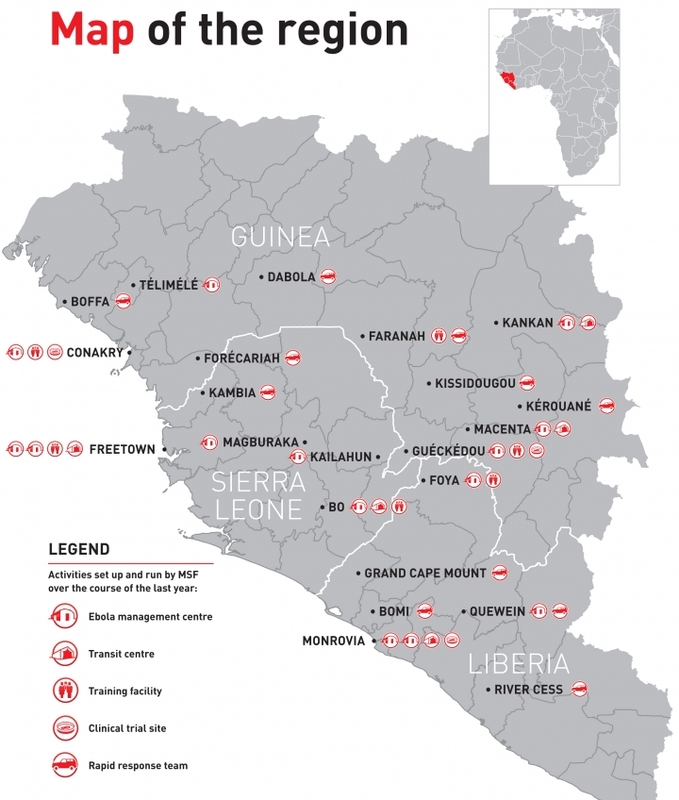 Working in Guinea, Liberia and Sierra Leone, MSF filled the gap resulting from an underdeveloped health care system; see map. MSF nurse, Andy Dennis, described to us his work in Kailahun, Sierra Leone, treating and ultimately releasing Ebola-infected patients. From children to the elderly, so many people had their lives changed. Some had to travel by moto-van for over a day to reach the nearest MSF center. The medical staff, who treated patients, faced an almost unthinkable challenge – working with a deadly virus. Long days and extremely tight health and safety protocols were in store. Andy walked us through the personal protective equipment, or PPE, involved; see below. As MSF staff could only work in the quarantine zone for 60 minutes max, the process of suiting up then down, discarding used gloves and other non-reusable gear, and washing your hands at every possible interlude would be exhausting, even for the most fit person. Another challenge is the cost. The total bill for one complete set of PPE cost £38.18. As MSF in an international NGO reliant on donations, these costs can add up. Hopefully, suppliers will think first about saving lives and not the profits to be reaped. Andy also gave us a virtual tour of an Ebola Treatment Center, which includes several safety measure. Operating like a hospital, but with stricter rules and regulations (like absolutely zero physical contact with anyone), these centers are in some of the most remote areas of Western Africa. The Access Campaign was launched by MSF in 1999 and continues to fight to provide affordable medication to the most vulnerable and most in need. Their latest report, The Right Shot, sheds light on the rising costs of vaccines. Polly Markandya, MSF Head of Communications, walked us through the report and new campaign. Among its revelations, the report notes that for the 16 essential immunizations that MSF uses the price between 2001 and 2014 has increased 68-fold! This is a startling finding and one that should shame many pharmaceutical companies who profit while children die because of lack of money. The pharmaceutical sector has also faced public pressure for its views again generic drugs and more equitable patent laws. Going back to the days of $10,000 AIDS treatment, many organizations and patient groups fought Big Pharma for a better system. Together, they reduced costs and saved peoples lives. So, this fight is one that carries that same spirit. Maps are the the last thing you think of, but the first thing you need when responding to emergencies. I first heard of the idea of Open Street Maps during their use in the 2010 Haiti earthquake. Within hours, volunteers from around the world banded together and helped to map the streets, homes and infrastructure of this nation facing a major catastrophe (see video: https://vimeo.com/9182869). This data and easy-to-read maps allowed humanitarian staff to be more successful during their response effort. But Haiti isn’t the only country without proper maps. Countries, and importantly governments, need maps to have accurate information on hand for planning projects and delivering services. Humanitarian and development organizations also need maps, like when they respond to emergencies or if they need to find a remote village and a hand-drawn map won’t do; see below. A good map can be the difference between life and death. 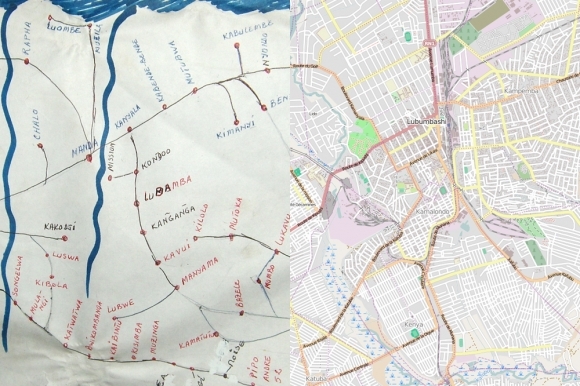 A comparison of a hand-drawn MSF map in Katanga, DRC, with a map of Lubumbashi, DRC, made with Open Street Map. The Lubumbashi map was plotted by students of the University of Lubumbashi and the Humanitarian Open Street Map Team. Together, MSF and the Red Cross are working to improve the situation. Volunteers and students from the UK and around the world are going online, and with each keystroke of their computer, they turn satellite images into detailed, open-source maps. Unlike other online map, mostly limited to road information, these maps include items like homes, streams and other information critical for organizations. I hope to attend a Map-a-Thon myself one day and help make a difference. In all, the FoMSF Conference was an amazing day, filled with inspiring, amazing people, who do amazing things to make the lives of others better. One of the best organizations out there! P.S. Thanks to Pam O’Brien and all the organizers, Imperial College for hosing, and everyone at MSF for all your work! Nice post, Spencer. And, we hope to see you at a mapathon soon! If you fancy chatting about organising a Brighton one, let me know…. !